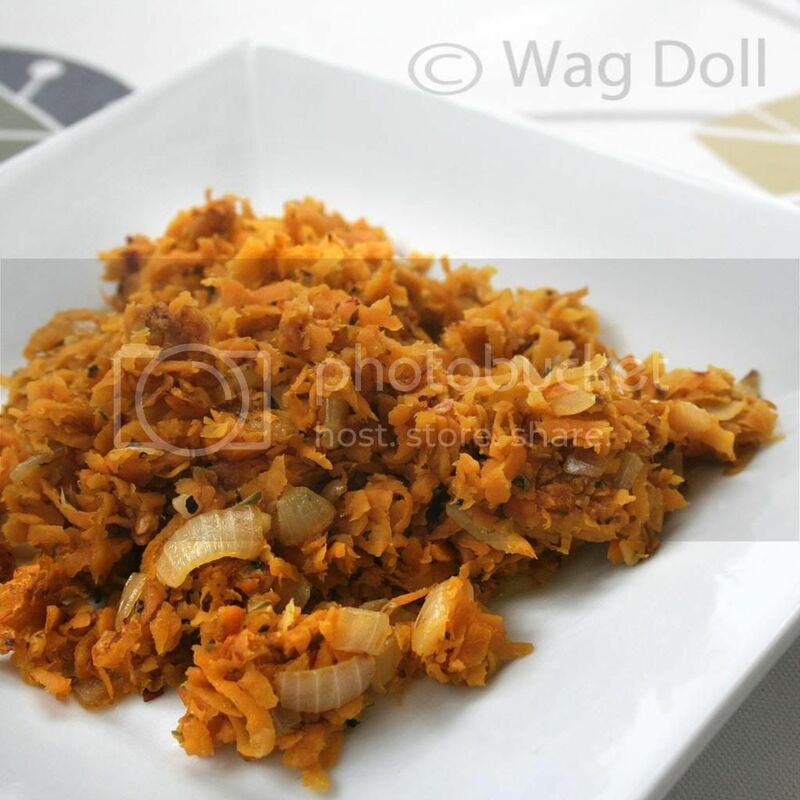 Check out this vision of loveliness, a plateful of scrumptious and healthy low GI carbs, my Spicy Sweet Potato Hash. 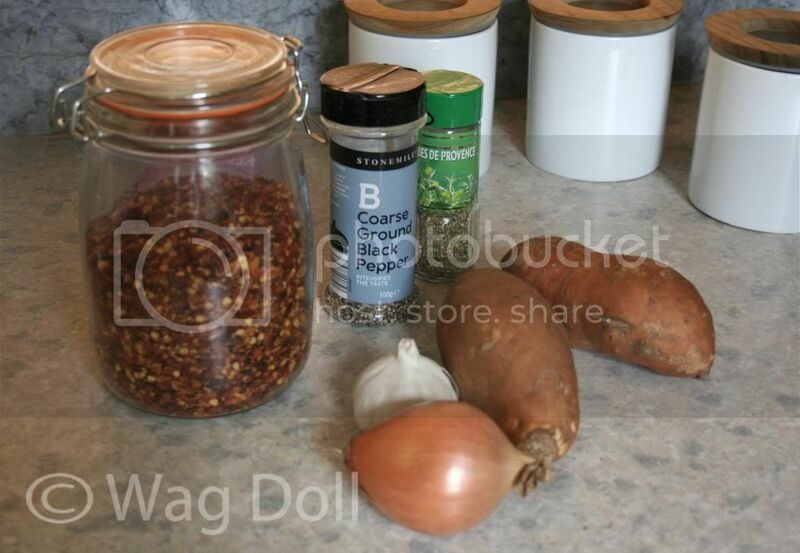 Sweet potatoes are a clean eaters winter buddy, salads just aren't cutting it here in the bleak midwinter. "It's reet parky ooop North tha knows! '"...In case you were wondering, that's Yorkshire speak for "It's very cold in the North of England", I'm not sure Google Translate can cope with a Yorkshire accent. I was inspired to make this dish after reading Nom Nom Paleo's version, check out her site as she has some great clean eating recipes. The original recipe uses garlic and onion powders but I wanted to use up some fresh veggies I had, and as usual I added some extra chilli flakes too. Some like it hot...me! Add the chilli flakes to your own taste (optional), half a teaspoon of mixed herbs and a dash of salt & pepper. Mix well. Chop the onion & garlic. 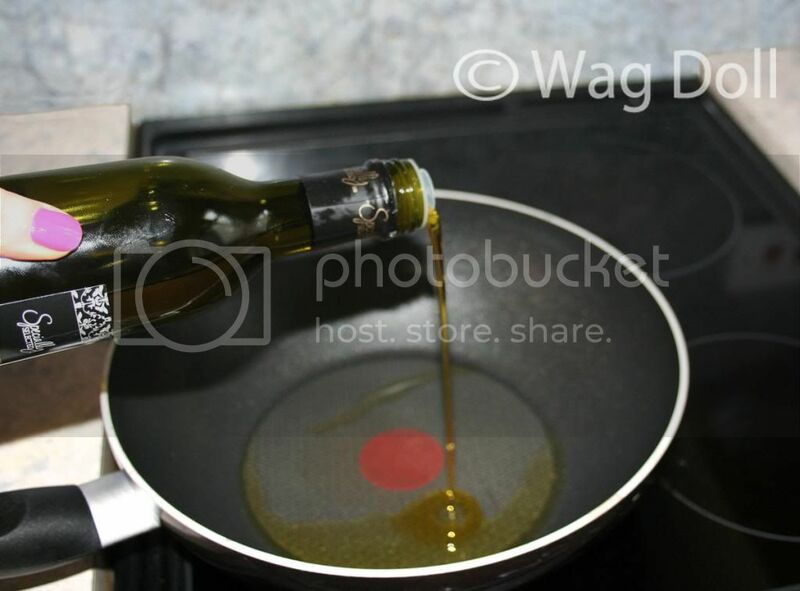 Heat the olive oil (or fat) in a frying pan on a medium heat. 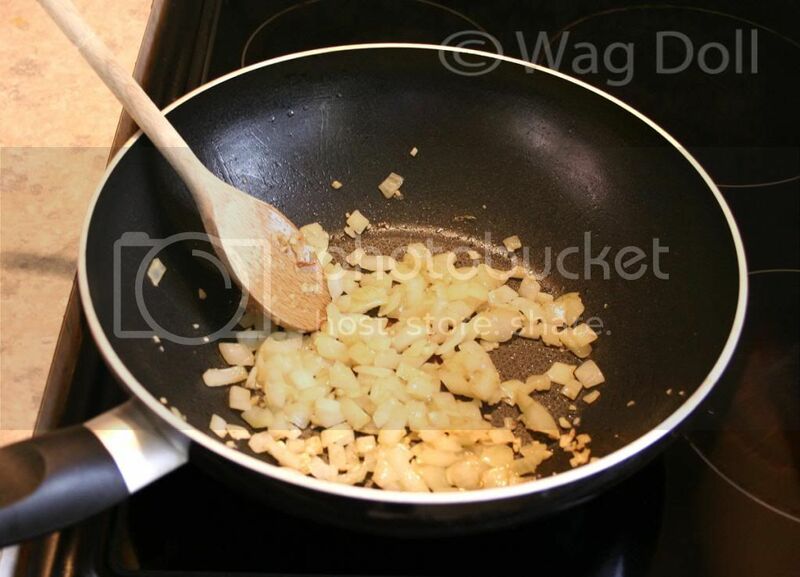 Fry the chopped onions and garlic for a few minutes, until softened and golden. 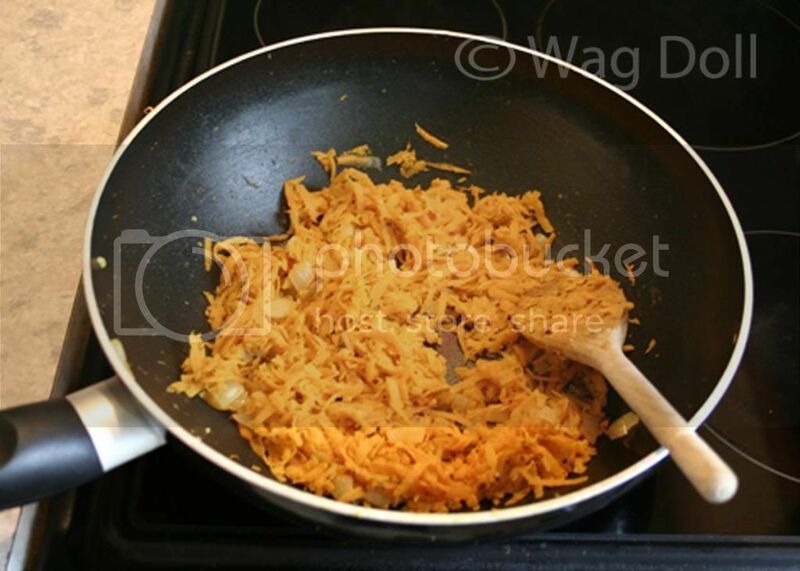 Add the grated sweet potato and fry for about 10 minutes. 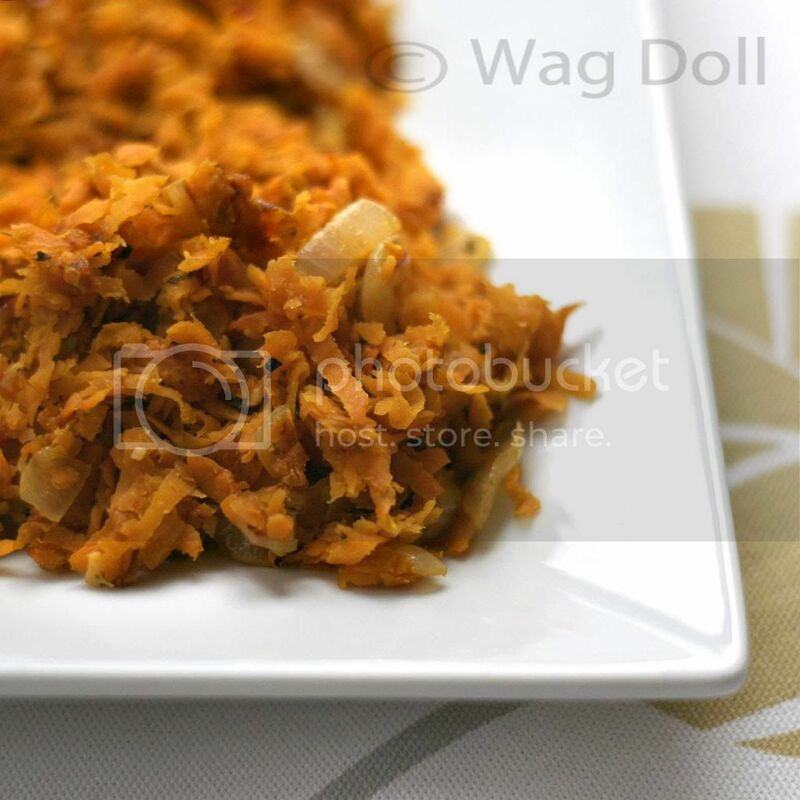 Turn the heat up slightly and fry for a further minute or so, the hash is done when the sweet potato cooked through and tender and slightly crispy in places. 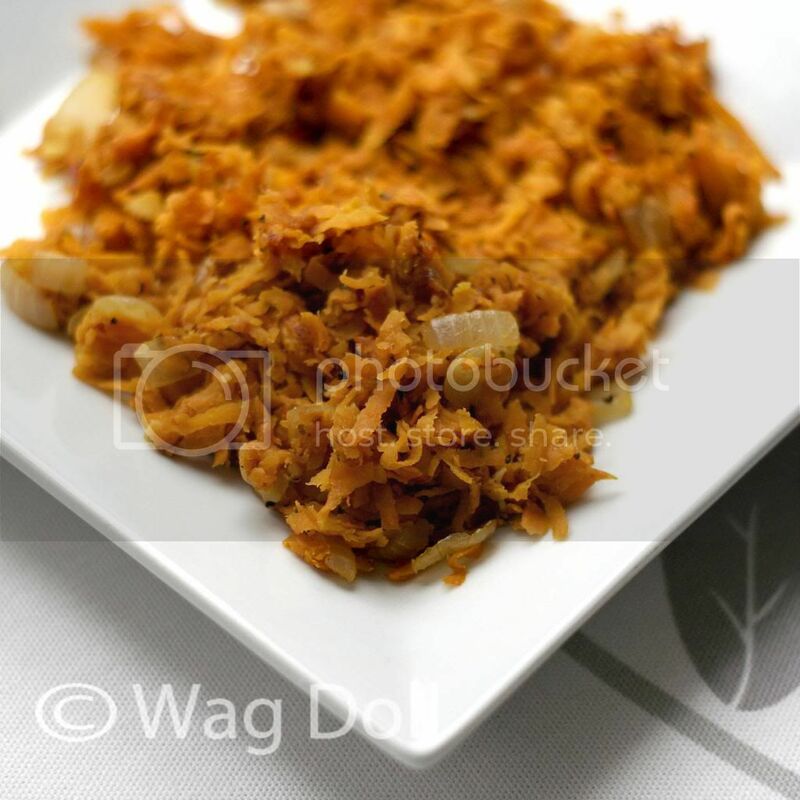 Serve as a meal on it's own, or as a side dish for 2. 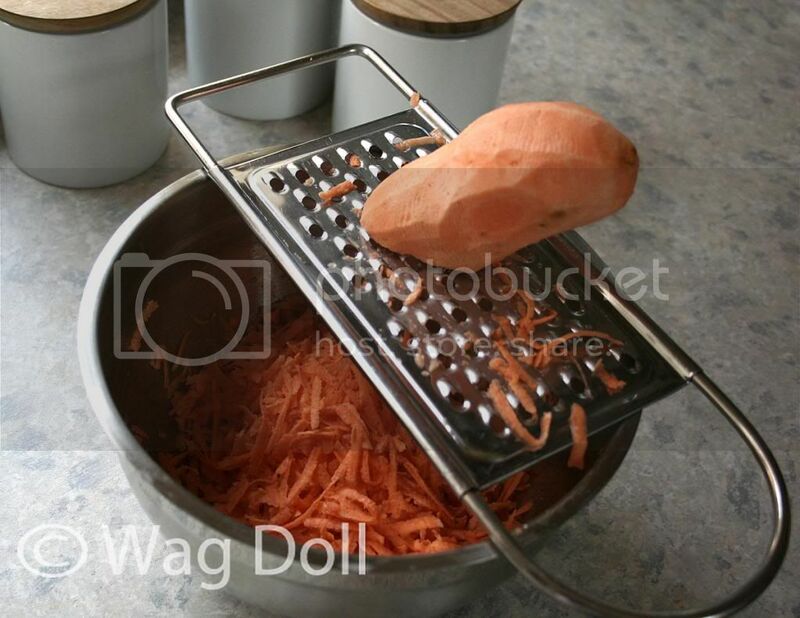 As well as being super filling, sweet potatoes are full of slow release carbs, keeping you feeling full and avoiding a blood sugar spike which is the basis of The Wag Doll Protocol clean eating plan. Like most orange coloured fruit and veg they contain fantastic amounts of anti-oxidents and vitamins, namely beta carotine, vitamin C, folate and potassium. But most importantly, they taste fantastic and are great for clean eaters when you're craving that carb taste and texture, which I do in the winter. Pure comfort food. OMG soooo trying this for dinner next week! I love having breakfast for dinner :0) Thanks for sharing! Thanks so much for this and the courgette recipe. I had the courgettes in a Spanish restaurant last night and just had to find the recipe. Only they drizzled honey on them aswell....amazing!